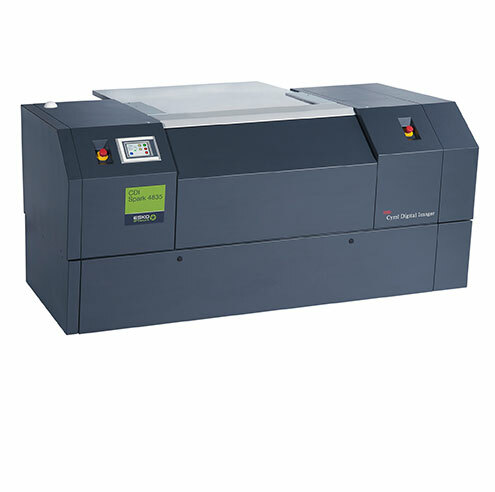 The CDI Spark 4835 with inline UV1, images digital flexo plates up to 1200 x 900 mm, at 4000 DPI resolution and plate thickness from 1.14 to 4.7mm. 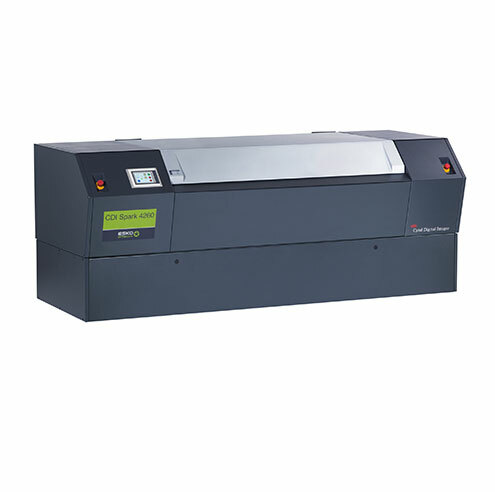 The CDI Spark 6260 with in-line UV 2 and Full HD, images digital flexo plates up to 1067 mm x 1524 mm at 4000 DPI resolution and plate thickness from 1.14 to 4.7mm. DuPont™ Cyrel® DigiFlow 2000 EC exposes high quality photopolymer plates up to a format of 1,070 x 1,530 mm. 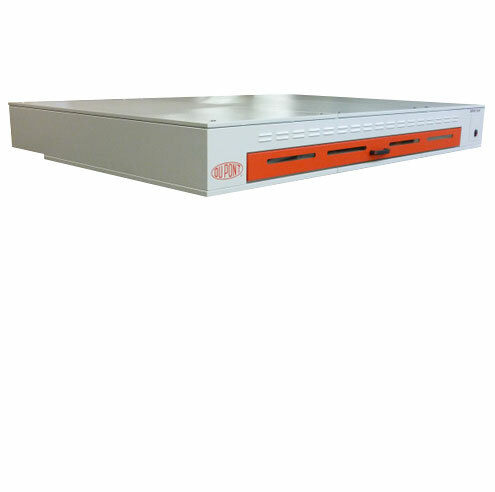 This is the flat top technology from Dupont. 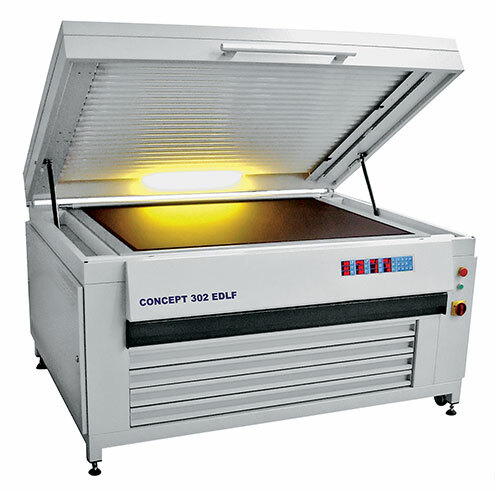 The CONCEPT 302 EDLF which is a 36x48 inches format, Exposing, Drying, Post-exposing and Light-finishing all in the same unit. DuPont™ Cyrel® 2000 LF is capable of post exposing and light finishing high quality photopolymer plates up to a maximum format of 1,070 x 1,530 mm. 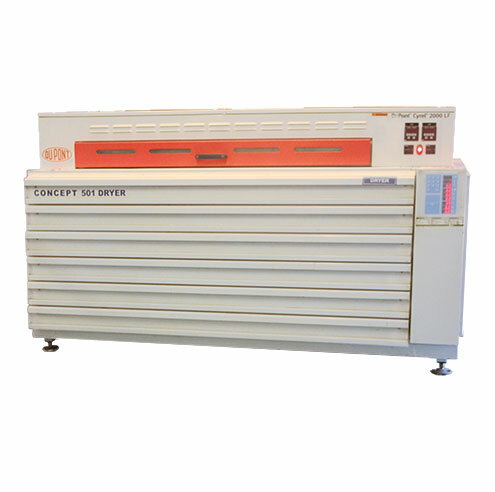 DuPont™ Cyrel® 501 dryer can handle six plates of 50x60 inches format at a time. DuPont™ Cyrel® 2000 PS is capable of processing high quality photopolymer plates up to a format of 42” x 78” (1,070 x 2,000 mm). 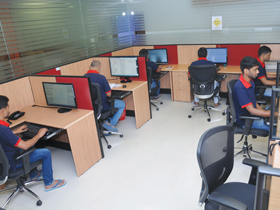 High dot resolution, excellent line definition, deep reverses and clean floor are achieved to meet the highest Flexo standard irrespective of whether thick, thin, narrow or large plates are being processed. 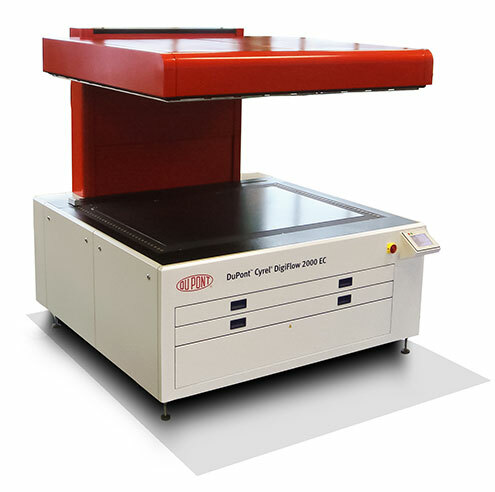 DuPont™ Cyrel® 1000 P is capable of processing high quality photopolymer plates up to a format of 36” x 48” (900 x 1,200 mm). 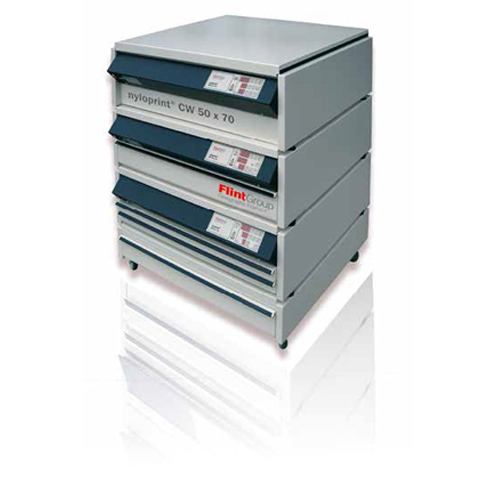 The unit is easy to support and maintain, simple to operate, and extremely reliable robust and cheap to run.